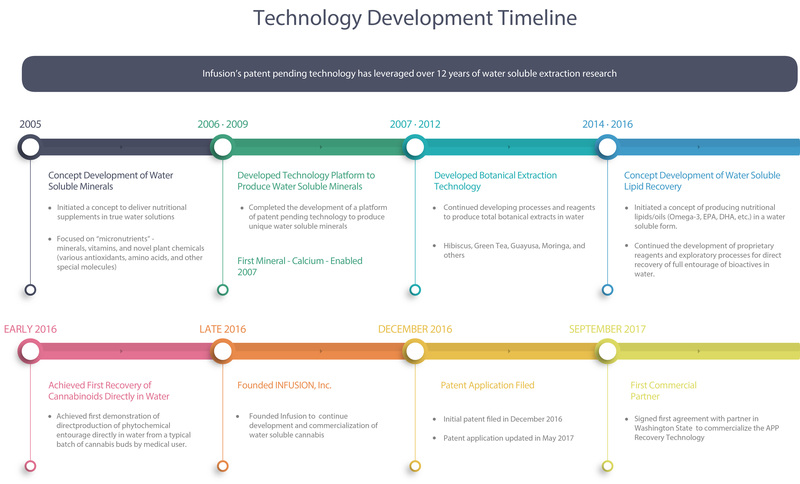 The development of the APP technology and the creation of our Infuz2O and BIO-NATURAL OIL, is based on 12+ years of R&D on recovery of water soluble phytochemicals from medicinal plants and 25+ years in discovery and development of biotechnology and pharmaceutical drugs. Inventor on five (5) US patents and numerous international patents and pending patent applications in the fields of cancer therapeutics, bone repair biologics and devices and diagnostics. All parts of a solution have the same ratio of solute and solvent (no phase separation). 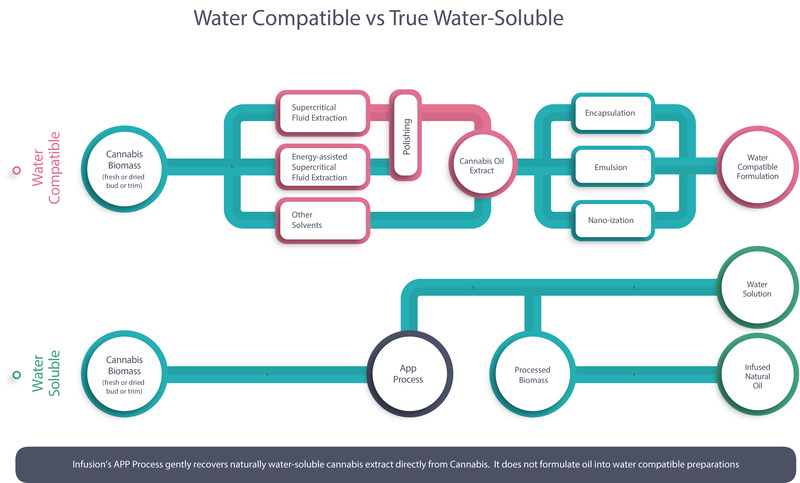 Emulsion and Encapsulation Technologies are oil-based delivery systems which are water-compatible, but not water soluble. Dr. Sen brings his experience of 35+ years in research and executive management positions at biotechnology and pharmaceutical companies including negotiating and managing licenses. Mr. Marcellino brings the ability to not only see opportunity, but also provide strategic operations leadership and networking domestically and internationally through research, planning, and execution.